A few years ago, when one of my many uncles turned 50, he sent my grandmother a video that included a “Happy Birth-ing Day” message. I like this idea. 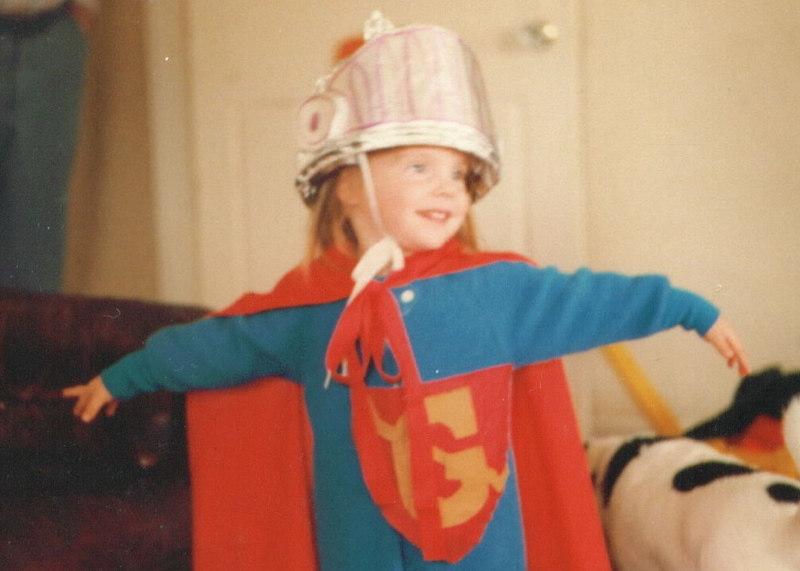 So on this my 32nd birthday, I offer an open birthing – day thank you note to my parents. And I encourage you, gentle reader, to ponder who and what will you be thankful for on your birthing day? Give it some contemplation, and send that someone a birthing-day card! 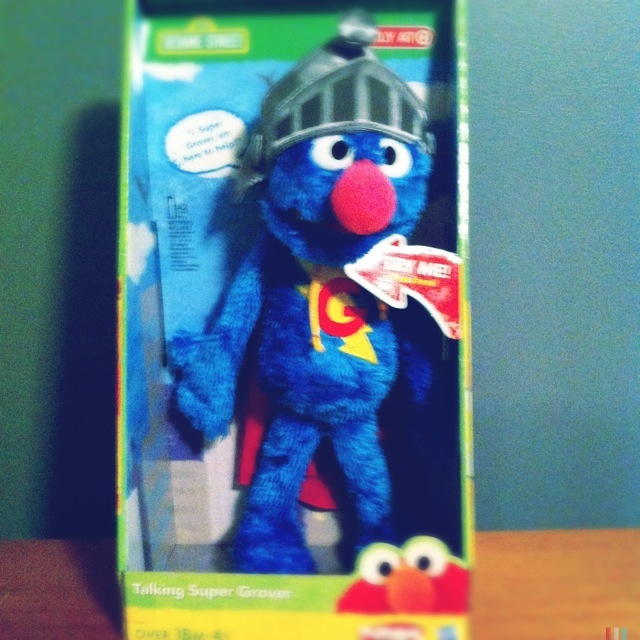 Thank you for the talking Super Grover doll. I love it! More importantly, thank you for birthing in me a childlike sense of wonder and play and silliness, and a recognition that just about all we need to know to live a rich and beautiful life can be found in wonder and play and silliness. Speaking of silliness, thank you for family Star Trek night*. Not only do I have some excellent geeky pop-know how and the ability to find elegant themes in even the dorkiest of situations, I also learned that a bit of playfulness, rest and time spent with loved ones is an excellent technique for getting out of one’s way and acquiring focus before an intense task. Speaking of intense tasks, thank you for showing me how to take care of myself during intense times. That’s it’s ok, even necessary, to take breaks. And more importantly, for birthing in me the seed abilities to live in intense and interesting times with faith and hope and Grace. Speaking of Grace, thank you for birthing in me a spirit of inquiry and discovery and love of the Divine. Thank you for never ever forcing belief of any sort but for simply providing the fertile ground in which to grow. May I offer this same sacred fertile ground of openness and inquiry in which others may grow. Speaking of growth, thank you for always nourishing me with unconditional support and love and birthing in me the seed ability to do the same, no matter how challenging or laborious it may at times feel. Speaking of labor, Mom, thank you for your very real labor of love, without which, none of the above would be birthed. *From 1987 – 1994, Star Trek The Next Generation (TNG) aired on Saturday nights. This is also the time when my dad began his career as an Episcopal priest. Star Trek provided excellent entertainment that was wholesome and engaging for the whole family and we watched it every week. When the show ended or went on hiatus in the summer we watched movies, and the question was always “Is it a good Saturday night movie?” A good “Saturday night” movie any good movie, be it comedy, drama, sci-fi or action, that isn’t too violent or disturbing. It should be engaging, but not make you think too much. Movies that “make you think” were/are reserved for any other day of the week that does not have the special task of preaching and leading several church services and bible studies the following day. Kind of like not staying up too late on a school night. I am honored, and a bit teary eyed. Birthing you has been my penultimate joy! And, let us not forget “All Jerk Weekends” and no homework allowed on Friday nights.